We have been gifted land in Bicester and are currently in the process of making a Planning Application. It is important that Alexandra House is easy to access and has the scope for multi-purpose use. We want to build a versatile facility, to include landscaped sensory gardens and in future would love to launch a kitchen garden project in our community. 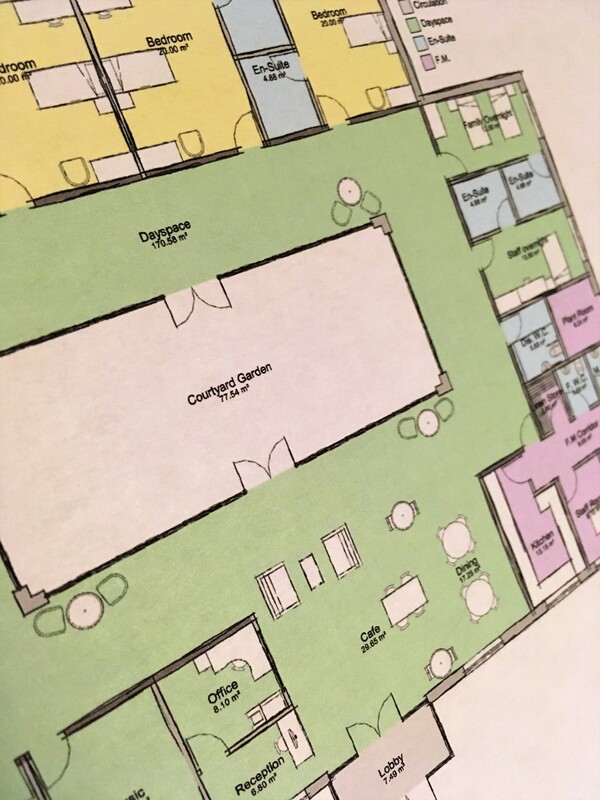 Those using the Day Centre will be welcomed to a bright, airy space, with access into the specially designed courtyard sensory garden, and an inclusive cafe nearby. Our community will also have the use of a music room, a sensory room, a computer room, arts and crafts facilities and outdoor activities. We will offer a much needed respite service, run by qualified, experienced staff. Caring for carers is a key part of our plan to support our learning disabled adults. Many of the carers are elderly parents, who need an opportunity to rest and recharge so that they can best look after their adult children. Support the Alexandra House Project!